Dr. Atay was born and raised in Maryland where he attended Towson University. At Howard University College of Medicine he graduated Alpha Omega Alpha, a lifetime medical honors society granted to students graduating at the top of their class. He completed his pediatric residency at Michigan State University followed by a pediatric gastroenterology fellowship at the Cleveland Clinic, where he was the recipient of two research awards in the field of pediatric gastroenterology. Dr. Atay feels that finding the perfect place to practice can be incredibly challenging and that physician shortages have provided most doctors the luxury of having many options when choosing a place to establish their practice. He was looking for a children’s hospital completely dedicated to healing sick children above any other priority and feels that CHKD exemplifies this in everything it does. 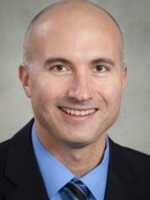 Dr. Atay serves as the director of CHKD's Neurogastroenterology Motility Program.